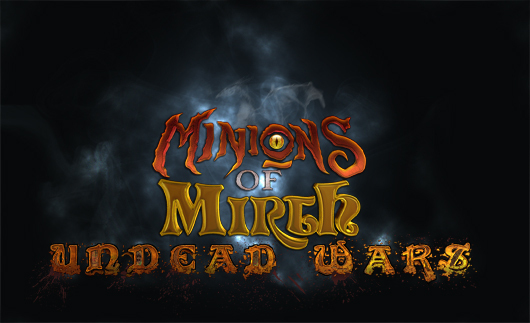 San Carlos, CA — October 3, 2011 – Prairie Games is proud to announce the release of Minions of Mirth: Undead Wars, the eagerly awaited expansion of their award-winning massively multiplayer online role-playing game, Minions of Mirth. This update to the highly rated number one cult MMORPG will be available at the Minions of Mirth website starting this Monday, October 3rd. 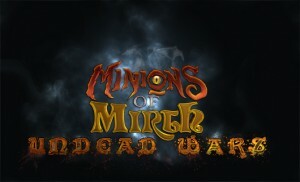 Updated and optimized for Windows® XP/Windows Vista®/Windows® 7 and Macintosh®, undead Wars features whole new quests, unique creatures and monsters and an entire unexplored continent to conquer! Prairie Games, Inc. is a collaboration of game, internet, entertainment and interactivity engineers, designers and artists. Innovators and visionaries, our pioneers have worked for the largest names in online entertainment today, such as Microsoft, Electronic Arts, SONY, SEGA, Activision and THQ. This entry was posted on Tuesday, October 4th, 2011 at 5:46 am	and is filed under Press Release. You can follow any responses to this entry through the RSS 2.0 feed. You can leave a response, or trackback from your own site.